Welcome to Dress For Success Cleaners. 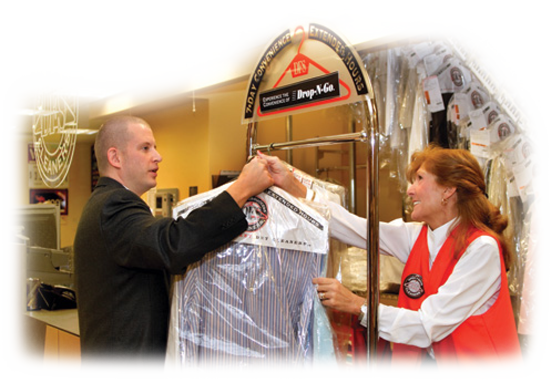 Since 1991, Dress For Success Cleaners (DFS) has provided professional, full-service garment care conveniently located inside hundreds of supermarkets nationwide. We take great pride in the quality of care and attention to detail we give your garments and household items such as comforters and blankets. Looking for value? All of our locations are open seven days with extended hours for your added convenience. Our prices are very competitive and we offer a variety of specials year round. With DFS, you save time, money and gas!